To heal an area of past trauma, difficulty or dis-ease and return peace to the land and all whom live within or visit that place, the 'Peace Configuration' can be planted. This multi-purpose crystal configuration, which uses programmed rose quartz to grid an area, is of simplicity yet great power, and can be placed anywhere. This leaflet explains how to plant programmed crystals in this way. 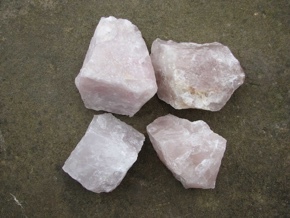 An action sheet is also available to programme and plant your own crystals for peace.